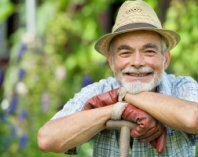 While retirement may seem like a distant dream, the truth is, time passes more quickly each day. Start saving now while you're still earning income. An IRA offers tax-advantages. * We offer many types of accounts to meet the different financial needs of our customers. A Pendleton Community Bank representative will be happy to discuss each plan and help you choose the one that's right for you.